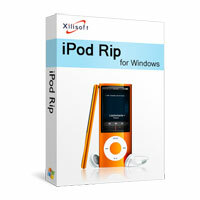 To help you manage iPod on Mac, Xilisoft iPod Convert for Mac makes it easy to backup iPod, transfer apps, music, movies, photos, books, etc from iPod to Mac, Mac to iPod, and iPod to iTunes. Using the Mac iPod convert software, you can edit, create and delete iPod playlist in simple operations. It can also connect and manage several iOS devices at the same time to transfer and share your contents. Everything is so simple, just free download to enjoy it now. You can easily and fast backup iPod apps, music, iPhone MSN messages, movie and photo on your Mac with the iPod copy tool. Reading/exporting videos and photos recorded by device are supported now. Choose the apps, movie, music or photo you like on your Mac machine and directly put it on iPod through the iPod manager. You can also manage documents for some apps now. The software allows to copy iPod music, movie photo and playlist from iPod to iTunes library to help you manage your multimedia library. You can manage up to 26 iPods and one iPhone independently at the same time and drag and drop files among them to share music, movie and photo. 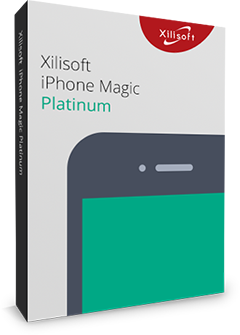 With Xilisoft iPod Convert for Mac installed, you can open your iPhone in Finder and easily manage it as a hard disk now. After connected with Mac, your iPod/iPhone will be recognized and its device info such as picture, type, capacity, version, etc. will be displayed in the program interface. Allow you to connect different iOS devices at one time and transfer movies/music/picture among them by drag-and-drop for time saving. 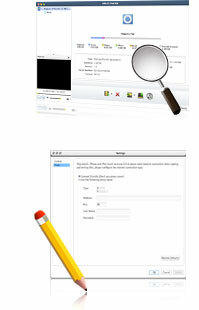 You can delete, create or edit a playlist in an iPhone/iPod via Xilisoft iPod Convert for Mac with simple operations. Right click "Show in playlist" on the file to judge whether it has been ever added. Transfer songs from one playlist directly to another. Conveniently manage iPhone photos into photo albums which you can create, delete and edit freely. Transfer favorite iPhone ringtones and loved PDF/EPUB books into the device and free to rename or delete them. The software provides Quick Search and Filter function to help you find the mogavie or music file you want in a short time. Allow you to check music/movie file info and edit the ID3 tag info for music file to perfect your music. You can choose to view the music, movies and photos in various modes. With iPod Convert for Mac, you can comment on the music and movie files in iPod with different ratings to mark them. Right click the music or movie file and choose "play" option, then the file would be played with the default player on your Mac. iTunes style interface, main function button design, drag-and-drop and shortcut keys supporting make the program so easy to use. With the highest speed provided both via data connection cable or via Wi-Fi, file transfer between iPod, iTunes and Mac will all be finished in a wink.